The idealistic endeavor of a universal education, as was conveyed for centuries by research institutions, is passé. It needed to be replaced by two scientific disciplines: The social sciences and humanities and the natural sciences and engineering sciences. However it soon became clear that cooperation is necessary between these disciplines to find answers to complex questions. The field of ecosystem research in particular shows how an overview of both disciplines is imperative, as interdisciplinary cooperation of specialists can shed light on many different aspects to the whole system. In the project RISC-KIT, interdisciplinary research was applied to develop disaster risk reduction measures in coastal regions. The investigation was part of the FP7-project RISC-KIT (Resilience-Increasing Strategies for Coasts – toolkit). The article is available for download. 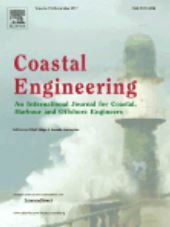 The article illustrates both the potential and challenges of interdisciplinary collaboration amongst researchers from the social sciences/humanities and the natural sciences/engineering in formulating disaster risk reduction measures for coastal regions. The corresponding author, Ecologic Institute's Dr. Grit Martinez, shares her experiences of working across different scientific and engineering disciplines in the EU project RISC-KIT to co-produce disaster risk reduction measures suitable for specific regional and local contexts, in this case two coastal study areas in Europe (Porto Garibaldi, Italy and Rio Formosa, Portugal). An overview of the historic cultural origins of scientific disciplines is first presented, explaining the historical fragmentation of scientific knowledge into natural and social sciences and its associated challenges for prior disaster risk studies – and how the current state of an interdisciplinary approach has emerged. This is followed by an analysis of interdisciplinary collaboration, drawing on the experience and data collected (both quantitative and qualitative) from the two case study areas. The article concludes with suggestions to further overcome the segregation of disciplines within disaster risk studies and projects. The authors found that qualitative data provides understanding of knowledge, values, and behaviors for institutional and non-institutional stakeholders in formulating appropriate risk reduction measures to increase resilience in a local context – and that such data works “hand in hand” with quantitative information. Furthermore, the collection of qualitative data by researchers of the natural science and engineering disciplines has the potential to build bridges between disciplines and to stimulate further investigations, as in this case, to explain contradictions in human behavior when managing risk.